So what makes Telemark what it is? Is it the boots, the bindings, the skis, the style or the Turn? Maybe it’s the passion of its loyal followers? Well, it’s all of those and more, with less emphasis on the skis. 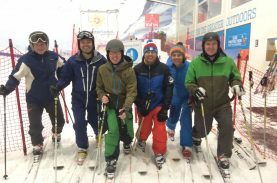 There are specific Telemark skis available on the market, but any ski can be used effectively, therefore skis will be less of a focus over the coming instalments. Let´s start with the Telemark boot and binding. There are two kinds of Telemark boots. 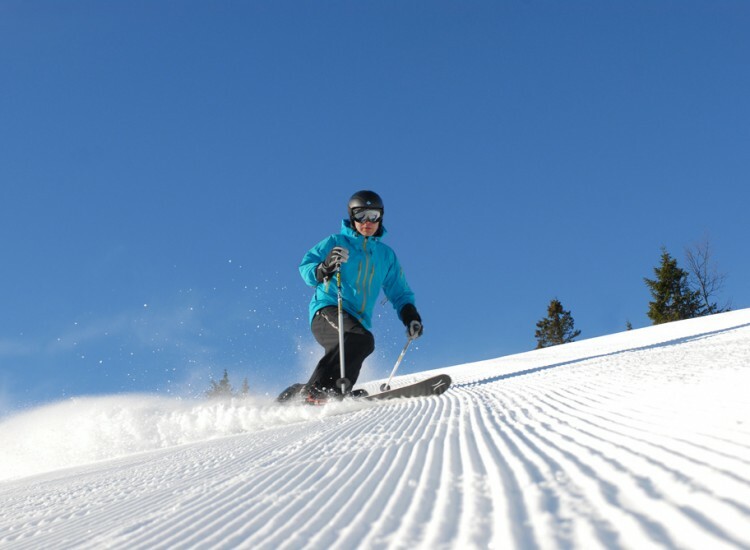 As mentioned and seen in the previous article (Telemark Skiing – So What’s it All About? ), the header boot image is the 75mm boot, or the duckbill boot. 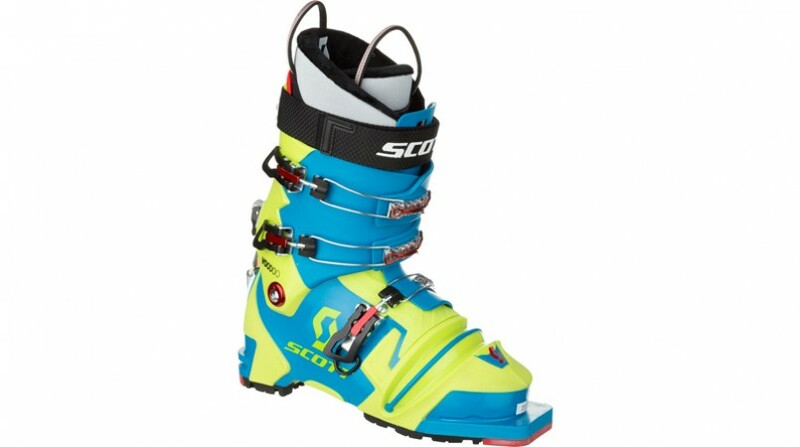 The closest modern day boot to the original Telemark boot. The other type is the NTN (New Telemark Norm). The difference is in the binding and binding fixation. The Duckbill boot is Telemark specific and they slot into the binding of inverted, or negative shape and are held in place at the back of the boot by a cable or bale. There are many kinds of Telemark binding made by many brands (this is where the passion of Telemark comes in, which we will get to in the future). Some of these bindings are simple and very much like the bindings found on skis thousands of years old, where the boot was tied to the ski with a leather strap at the back of the boot. This enables the boot to be fixed at the toe and held forward and into the toe piece by the back cable. Some of the other brands include 7tm, Bishop Bomber, G#; Linken, Telebry, 22 designs and Black Diamond to name but a few, but all offer the same system of fixation, be it with a cable, plate or combination of the two. The boot is always held in place at the back by a common bale. 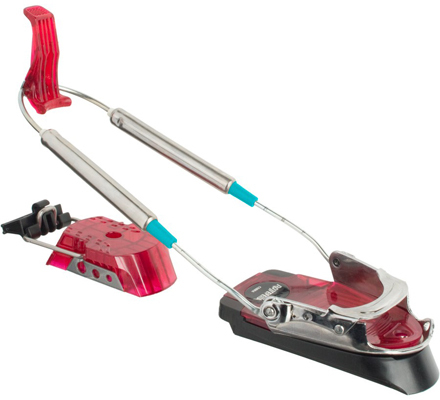 Many of these bindings offer a touring or walk mode and are often preferred over the NTN due to weight, though there is now a very good touring NTN binding on the market called the Freedom. The NTN is a whole different story. Developed in 2006 by Norwegian cross country and Telemark brand Rottefella (Meaning Rat Trap), the NTN was designed to make Telemarking more powerful, dynamic, efficient and easier. Most traditional Telemark bindings are hard to get into and out of, requiring security leashes to keep the ski attached to the boot in case of binding release in the event of a fall. This can resort in the ski flailing around on the end of your foot causing injury (it’s rare, but it’s possible). The necessary removal of gloves in snow and cold to put the skis on and off can be off-putting. Getting in and out of gondolas and cable cars can be a tedious task, especially when Alpine skiing friends are standing around twiddling their thumbs and waiting. There’s a small number of Telemark bindings offering a step in or release system, like the 7tm Power STI, which releases the whole binding from the ski, but still requires a leash to prevent the boot releasing from the binding. The NTN is step in and easy out requiring no removal of gloves. It also has a release system and a brake that’s deployed whenever the boot is not secured in the binding. Then it’s fixed underneath the boot with a hook like system, or duckbill in reverse. The front of the binding is locked down, pulling the fixation point forward onto the hook under the middle of the foot, creating a direct transition of power to the ski. The NTN boot can also be used in a variety of other bindings. 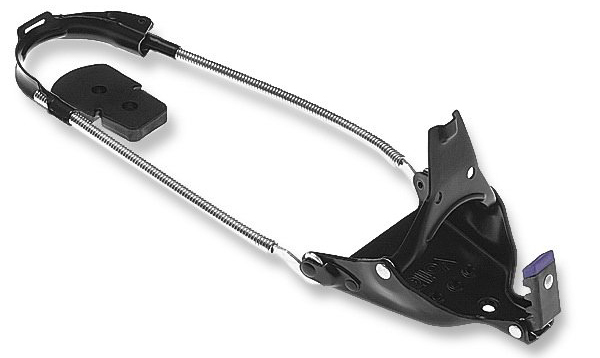 It can be used in the NTN binding but also incorporates the toe and heel of a touring, or AT boot. It can be used in some Alpine bindings with adjustable toe height as well as Dynafit type touring bindings. There are also a few companies that are trying to incorporate the Dynafit type front fixation and the cable and bale type heel piece on an NTN boot such as Moonstone. 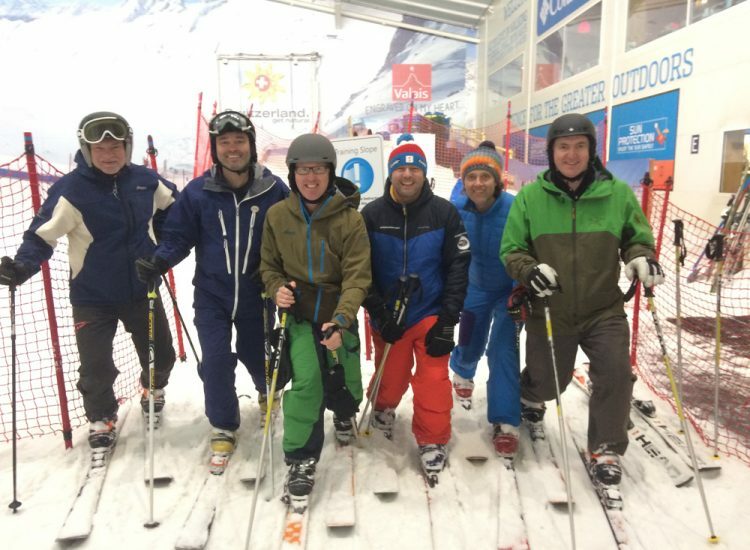 Scott Hammond is an ISIA Alpine and Telemark teacher for the Norwegian Ski Schools (DNS – Den Norske Ski Skole), Member of the DNS Telemark Demo team and owner of We-Freeski Performance courses in Lillehammer, Norway. 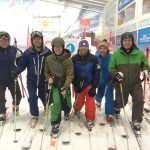 Telemark Skiing – So What’s it All About?